« Book 3 coming soon! The illustrations for Agnil and the Tree Spirits have arrived and they are absolutely gorgeous! Charlotte Moore has done a fantastic job and I hope everybody loves them as much as I do. To celebrate their arrival, I have decided to let you all have a sneak preview by revealing one of my favourites, which I think has a touch of Quentin Blake about its style. I’m a big fan of Quentin Blake, so I’m more than delighted about this! If you’d like to see more of Charlotte Moore’s work, you can visit her web site. Over the next few days, I hope to be able to post one or two more to give you a good flavour of what you’ll find inside the book. Keep popping back so you don’t miss them! 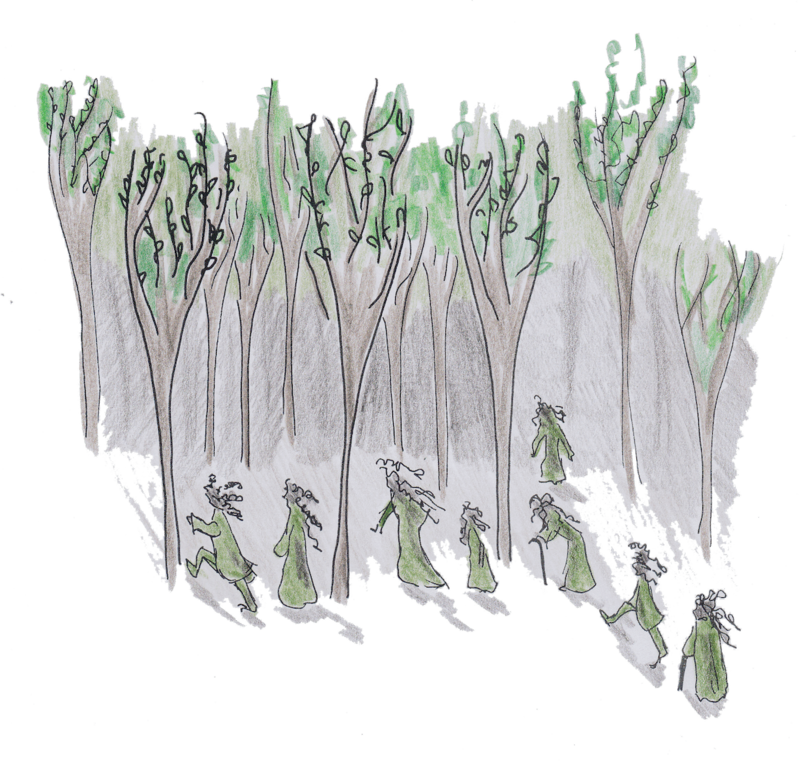 Tagged Agnil and the Tree Spirits, Agnil's Worlds, illustration. Bookmark the permalink. Haunting! Moving and exhilarating! Love the colors and shadows! Wow! Charlotte Moore, absolutely gorgeous!